This result appears to hold for both builder’s risk and commercial property insurance and across a wide range of regions of the United States. The study was funded by the National Ready Mixed Concrete Association (NRMCA), and included data from five reference cities including Orlando, Dallas, and Los Angeles. In Edgewater, New Jersey, VanderWerf found builder’s risk insurance savings of 67% and commercial property insurance savings of 58%. “This study validates what has long been the assumption when it comes to the hidden costs of certain types of buildings,” said Kevin Lawlor, a spokesperson for Build with Strength. Commercial construction is in high gear across the country and contractors remain optimistic about the health of the sector. That’s according to the recently released U.S. Chamber of Commerce Commercial Construction Index. Nearly all contractors surveyed (95%) expect revenues and profit margins to grow or remain stable over the next 12 months. Access to talent continues to pose challenges, with 60% reporting difficulty finding skilled workers. That worry was particularly pronounced in the South, where the damage from Hurricanes Harvey and Irma are expected to exacerbate existing labor shortages in the region. Helix Rebar, the twisted steel replacement for traditional reinforcing rod, is now approved for temperature and shrinkage reinforcement in New York City. The approval, finalized in late September, allows Helix Rebar to be used for all temperature and shrinkage reinforcement in all cast in place concrete applications. Helix Rebar is approved to replace structural as well as temperature and shrinkage control reinforcement in cast in place applications throughout the world. New York City has taken the first step and is now allowing Helix Rebar to be used to replace horizontal reinforcement. 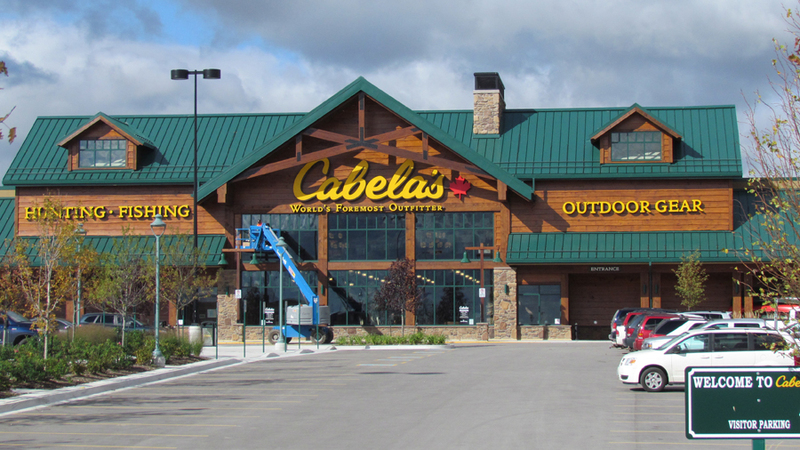 A new 26,500-sq.-ft. Cabela’s sporting goods store recently opened at the Manning Retail Centre in North Edmonton. 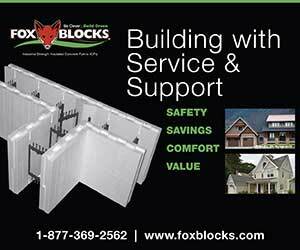 The store, built with Logix Pro Series insulated concrete forms, features 30-foot-tall walls. This Edmonton location is reported to be the fifth in the Cabela’s chain to use ICF, and the fourth store built specifically with the Logix ICF brand. 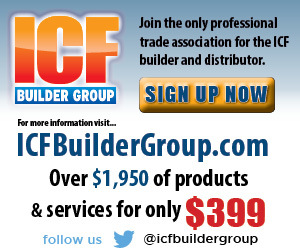 HP Builders was the ICF installation subcontractor. They also performed the ICF install for the Cabela’s built in Winnipeg, Manitoba, and Regina, Saskatchewan. 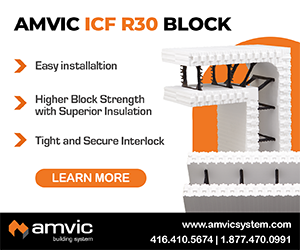 Designed with 8″ core blocks, the project is also notable for the large embed plates and integral rebar columns. Knockdown forms were used in these areas to simplify and speed construction. It was completed on budget and on time in just seven weeks during a cold Edmonton fall season that included high winds and snow. “This was an efficient, safe and high quality build for the crew, and any delays potentially caused by cold and wet weather elements were effectively minimized,” says Andy Lennox, marketing director at Logix. The project was selected as a finalist in the Alberta Construction Magazine’s annual Top Projects Awards. LiteForm Technologies, the Nebraska-based ICF company, is emphasizing its recycling efforts. For more than 30 years, LiteForm has been a leader in the ICF industry, producing high quality foam building products for use across the U.S.
LiteForm is committed to reducing its waste stream, and has taken steps to help other businesses in their community reduce their waste as well.